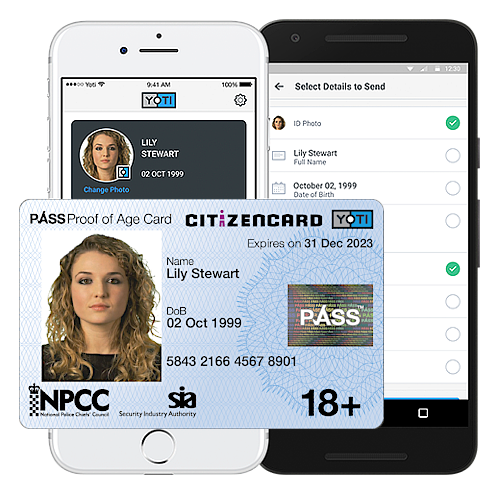 CitizenCard has partnered with Yoti, the digital identity company, and launched Yoti CitizenCard, the new ID solution for the UK, on 3rd of May 2018. A Yoti CitizenCard makes it safer for young people to prove their identity online and in person. 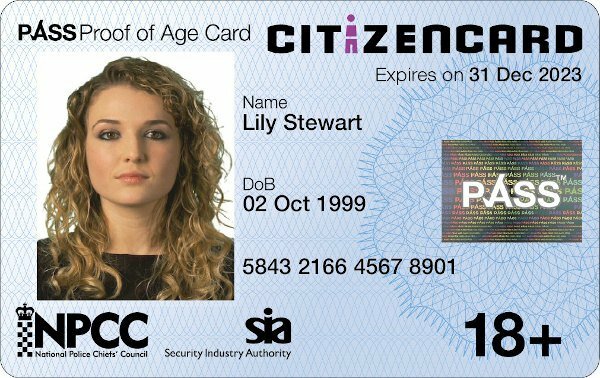 The card can be used to create cardholder's digital identity on the free Yoti mobile app and bears a PASS (Proof of Age Standards Scheme) hologram endorsed by the Home Office. In addition, the 18+ photo ID card displays National Police Chiefs' Council (NPCC) and Home Office Security Industry Authority (SIA) logos. A new 18+ CitizenCard design has been launched. The National Police Chiefs' Council (NPCC) has agreed to its logo appearing on the front of all 18+ CitizenCards, alongside the UK Home Office’s Security Industry Authority (SIA) logo.